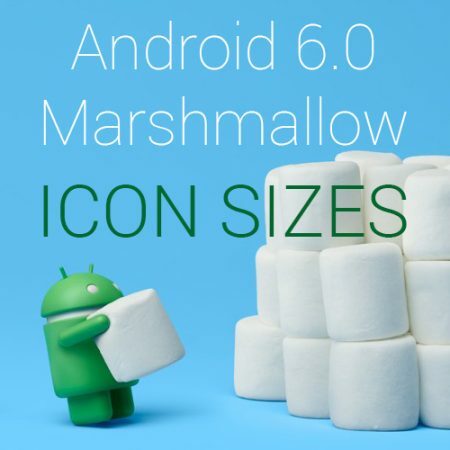 What size are Android Icons? It is a simple question but even Android, who provide better icon documentation than most, seem to want to make you work a little for the answer. Fear not, I have compiled a simple Android icon size guide for you! This is the icon you use on your device to launch the app and is required in several sizes. Each size is optimized to be viewed on devices with specific display densities, based on the number of pixels they can squeeze into an inch. The higher the pixel density of a screen, the more detail that can be displayed within a given area, hence the requirement for specific icon sizes for each pixel density. We will improve your sales with a beautiful new app icon, that converts! MDPI is the current ‘baseline’ and covers older or lower density devices (previously there was an even smaller size called LPDI but this is no longer a requirement since Android generates this from the MDPI image on the fly if required. The other sizes HDPI, XHDPI, XXHDPI and XXXHDPI all cater for newer devices up to 640 dots per inch. No doubt other sizes will be added in the future but it shouldn’t be too hard to work out the names! You will also notice fro the table that each size is a multiple of the MDPI baseline, 1.5x, 2x etc. Here is an example of a notification icon in MDPI size, showing the overall icon canvas size of 32×32 pixels and the internal image dimensions of 24×24 pixels. The padding around the image is necessary to allow the correct display of the icon within your app. Thank you Adam, Very useful and concise. Thank you. If suppose I upload image in the Image Asset tool of Android Studio by choosing type as Notifications would it generate the images as needed by notifications icons spec? If Yes, this should not be a problem displaying in notifications bar. Isnt it right? Which is exactly the issue my App is facing, don’t really understand why the image not displaying, it always defaulting to App icon but never displaying the icon I am passing to the notification.builder function. Any guess why? I wish I could be more helpful but we really just focus on producing the imagery and let the developers handle the integration. I haven’t used Android Studio I am afraid.